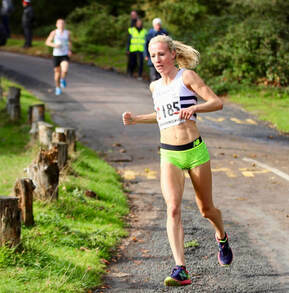 Lucy Reid continued her marathon preparations with being first female and second overall in this road race. 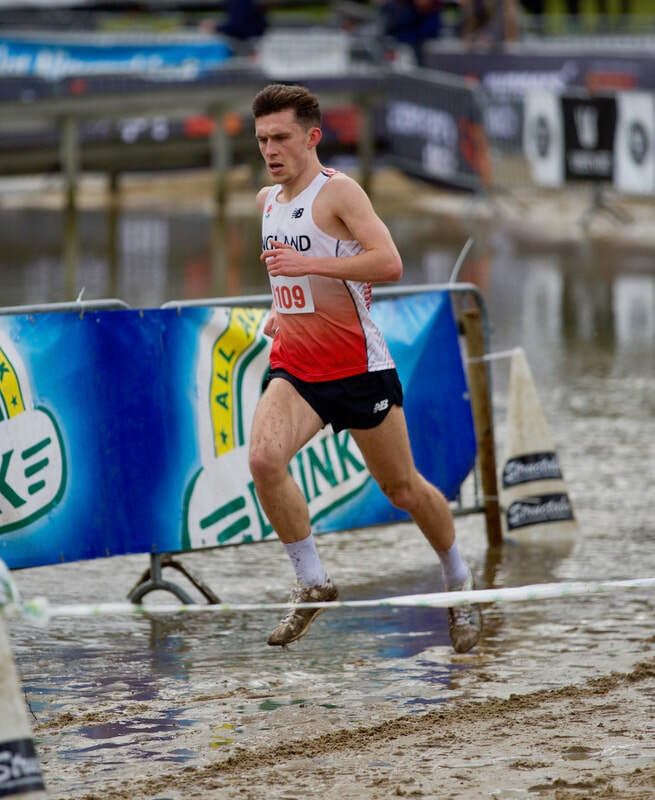 Chris Olley ran won of the fastest ever times by a TAC athlete over 5000 metres, in California, when he finished 5th in the Stanford Invitational on Friday evening. 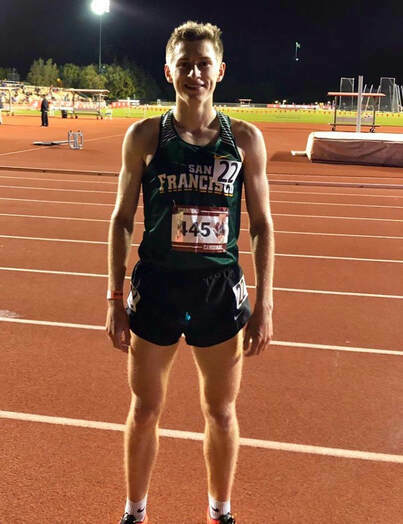 Chris was running in the colours of the University of San Francisco. 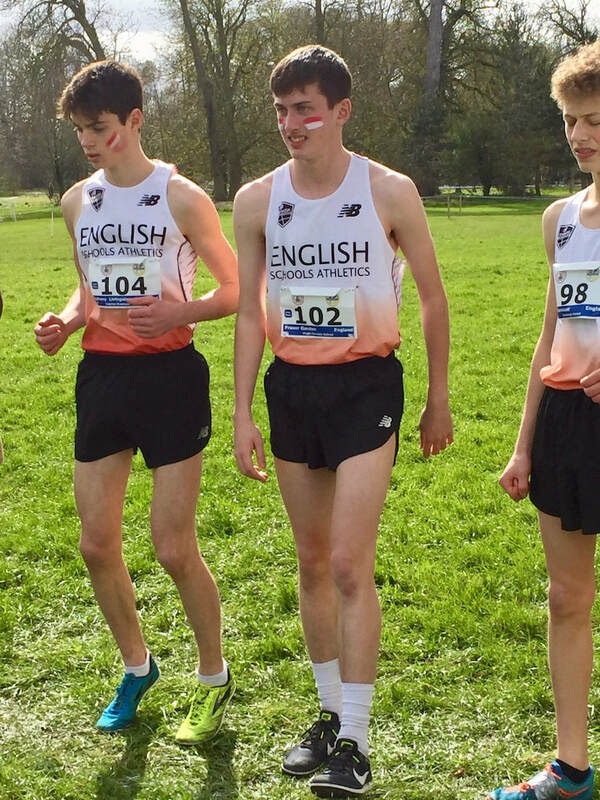 The time was almost eight seconds quicker than Chris ran as a pb in last year's British Championships. 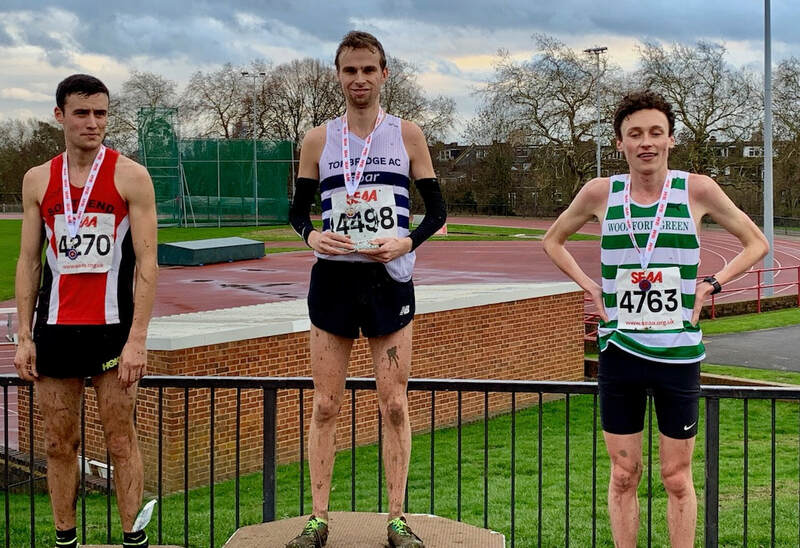 I think he may have gone to third place on the Tonbridge all time list behind Mark Scrutton's 13.32.20 record from 1982. Allen Graffin ran 13.41.42 in 2000 and 13.40.07 in 2001, but around that time left TAC. 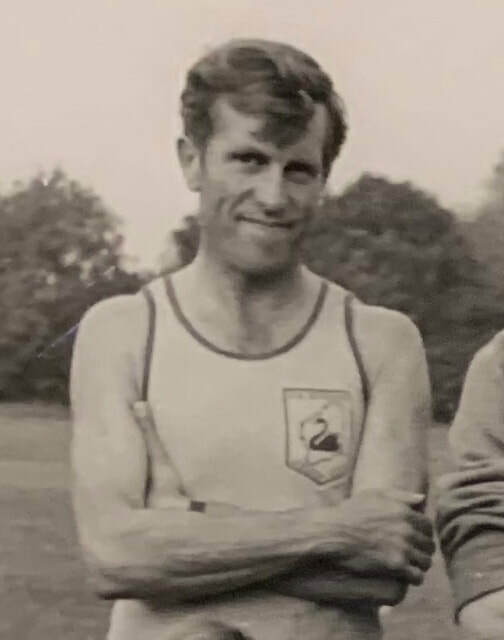 His brother Andy ran 13.53.60 as a TAC member, before going quicker in 2003, but by then the Graffin twins were members of Belgrave. James West has run 13.52.29 recently. 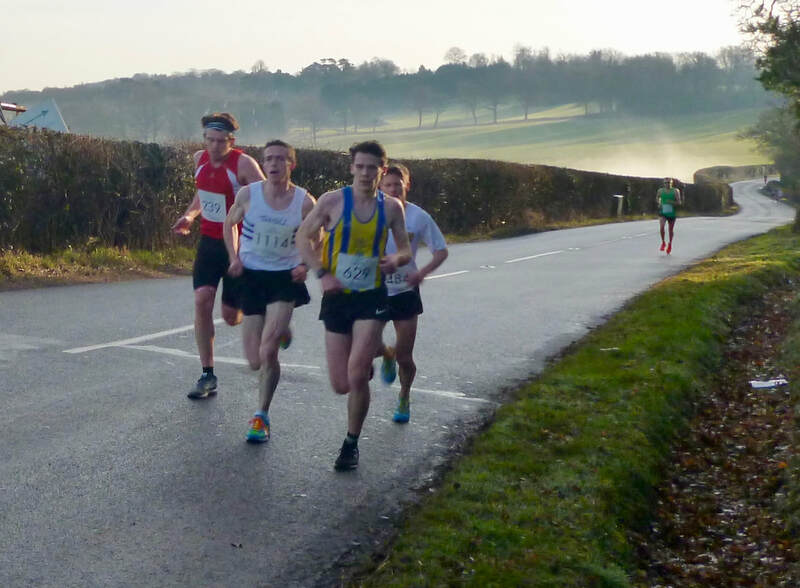 The men were 6th and 34th, whilst the women were 21st. 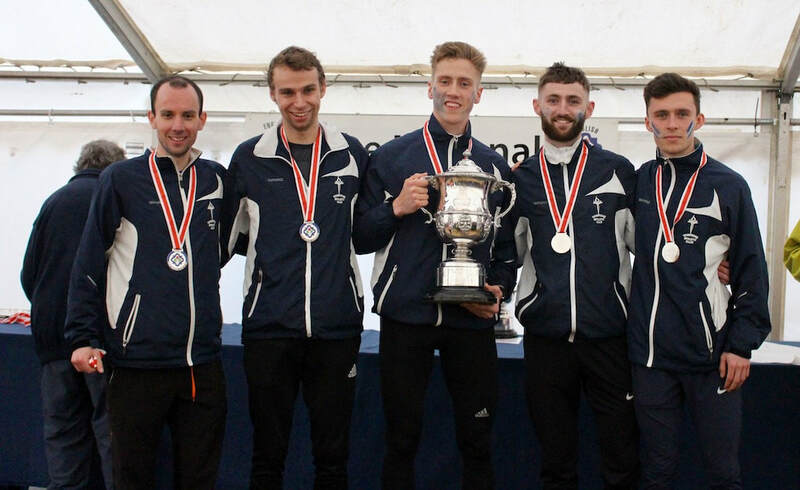 Considering that the men ran about three minutes quicker than the winners last time the championship was held on the same course, it shows the standard of the race. It's fair to say that we and others were well beaten, by some very strong teams and we will need to up the game at the National in two weeks time. 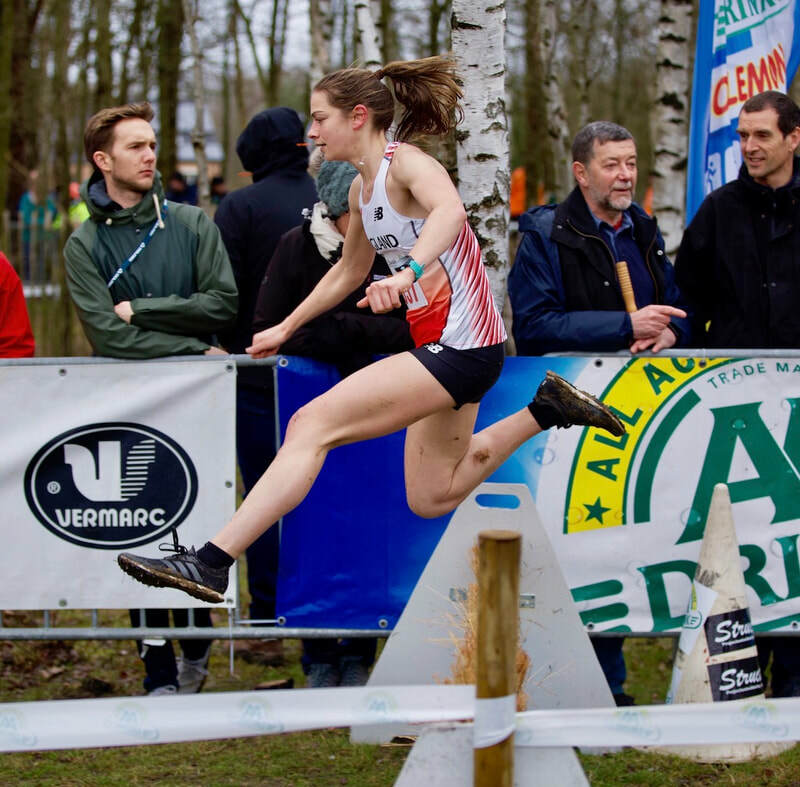 Everyone gave it their best shot, both on the men's and women's side, but it wasn't good enough to fully challenge on this occasion. I hope that we can do so again in the future. 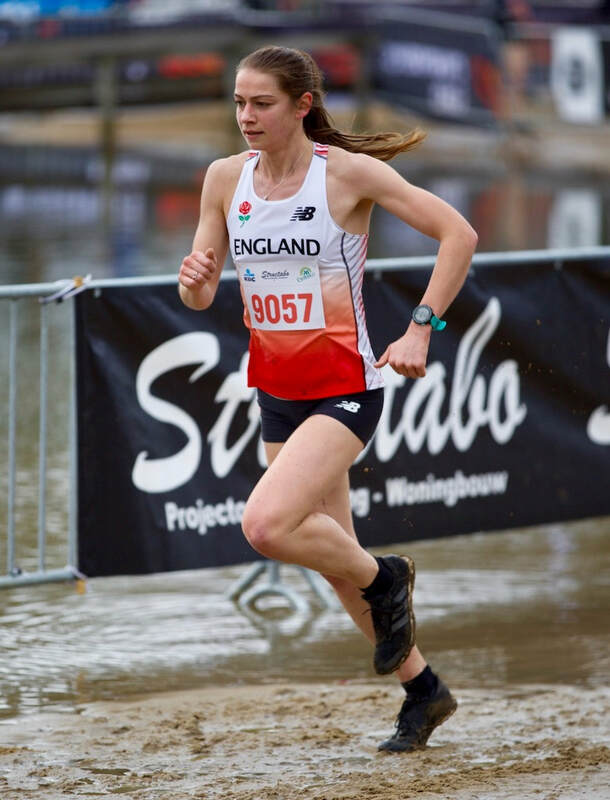 It was good to see Elle Baker back in action for the first time since the Autumn and despite her fears she ran the fifth fastest short lap in the women's race. 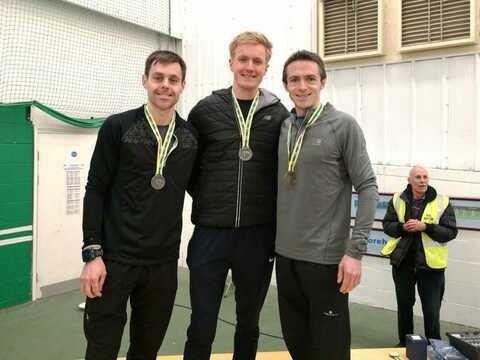 Ryan Driscoll and Ben Cole got amongst the top 25 fastest long legs and both Robbie Farnham-Rose and Sean Molloy did likewise on the short leg. 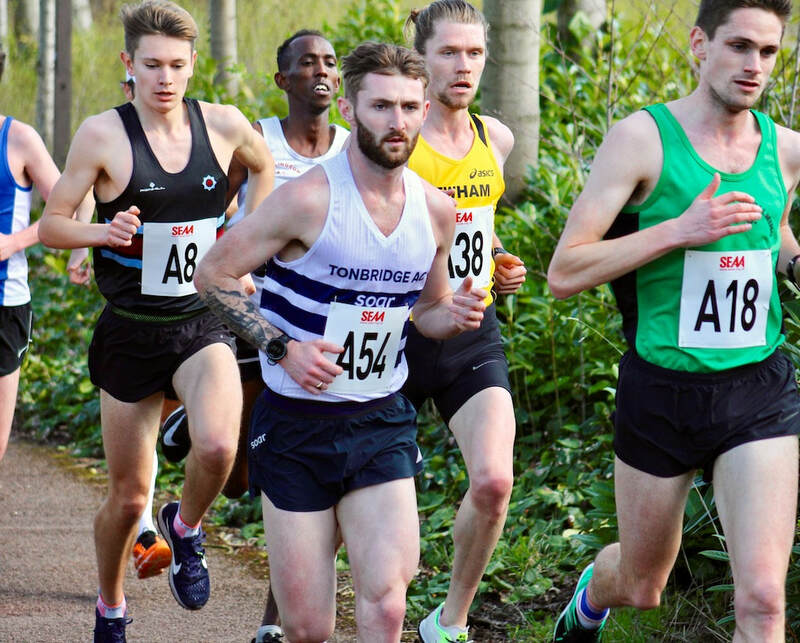 There are various races going on this weekend, including the South of England men's and women's road relays at Milton Keynes, on Sunday. 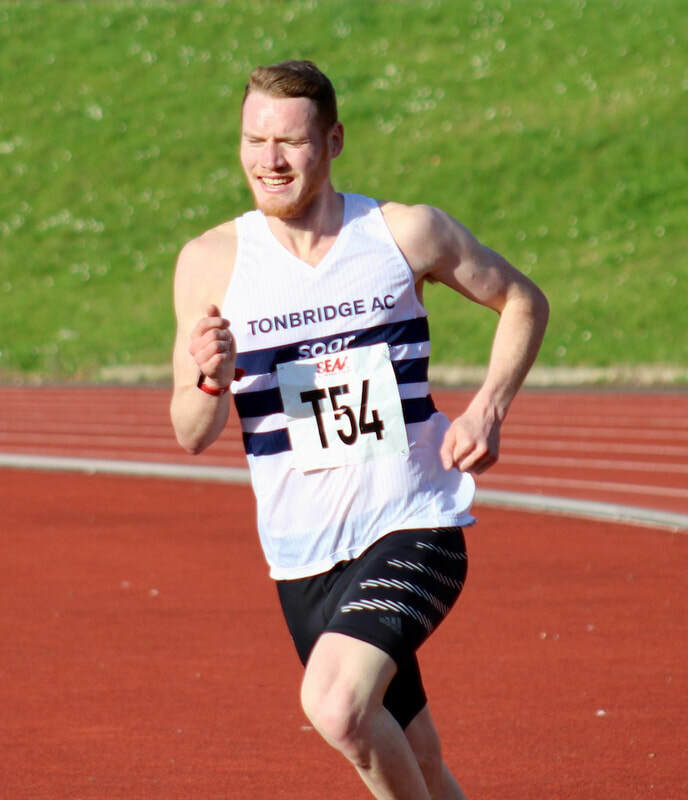 Charlie Joslin-Allen finished 3rd over 5000m in 14.47.33, which is very close to his pb. 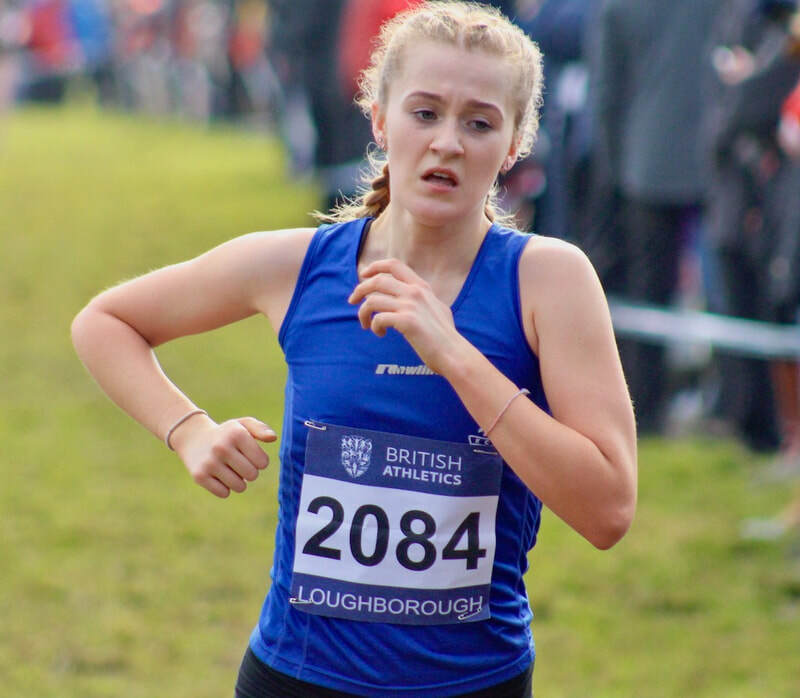 Olivia Breed placed 10th in the Junior Girls race and was 8th home for a dominant England team. 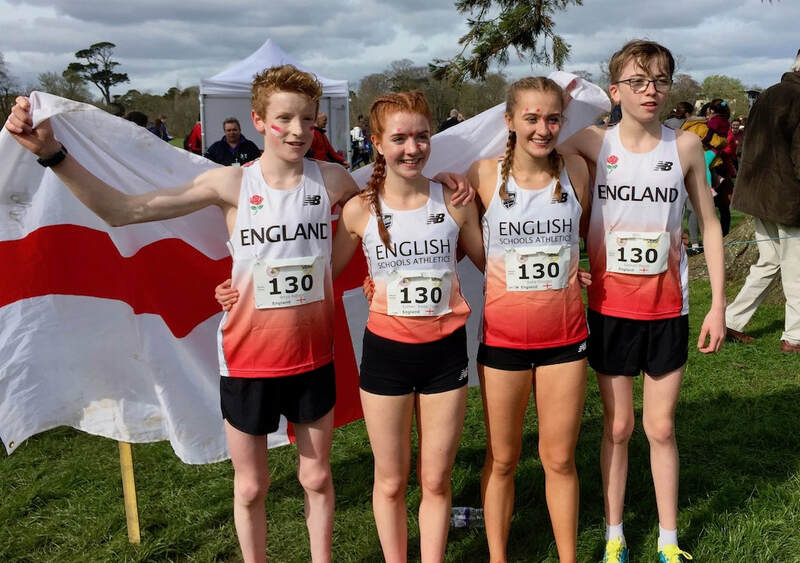 Fraser Gordon (Inter Boys) 14th and Katie Goodge was in the winning mixed Inter age group relay team. TAC had a number racing. 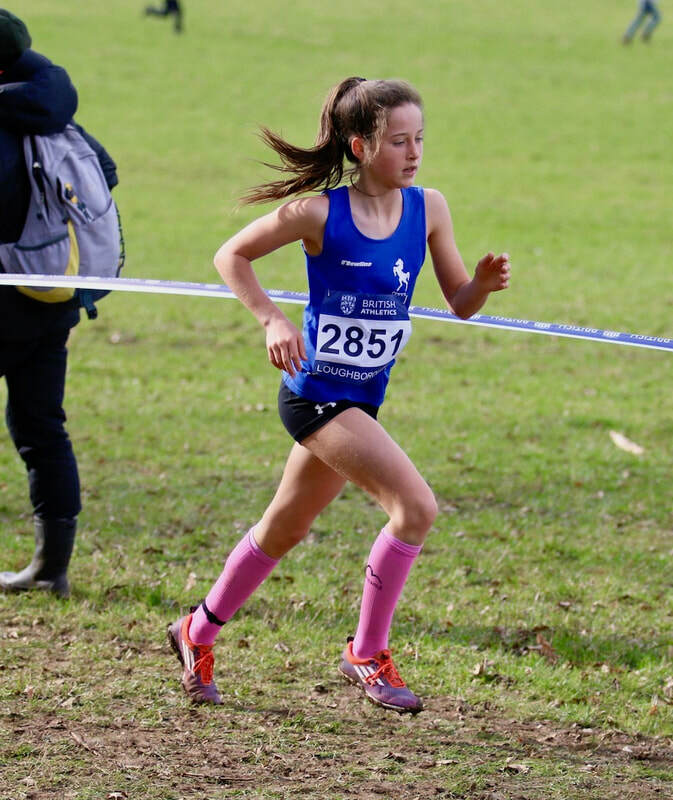 Lily Slack won the year 7 girls' race. 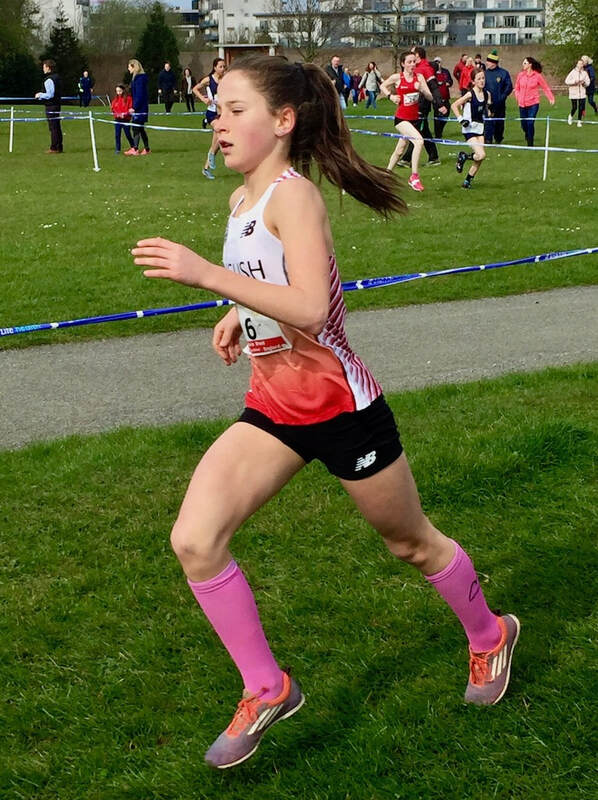 Josh Prendergast finished 2nd in the year 8 race and there were 6th place finishes for George Hopkins and Sophie Slack in their respective year 8 events. 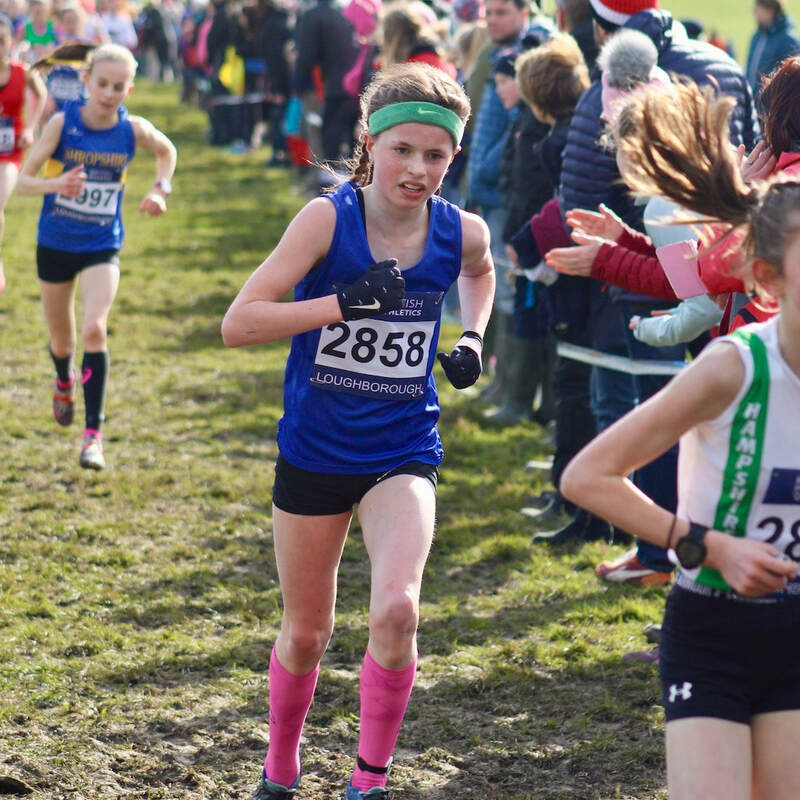 The 2020 National Cross Country Championships have been confirmed for Wollaton Park, Nottingham, on Saturday 22nd February. Please make a note in your diaries. ​We will be organising the usual trip to the vent, with travel on the Friday and return on the Sunday. 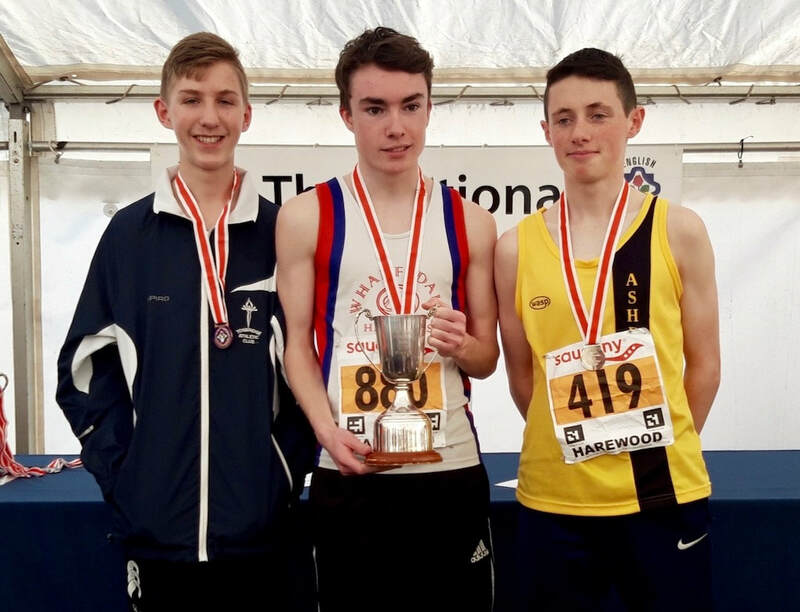 Fin Croll was 3rd in the under 17 men's 800m with a pb of 2.07.12. Full results are on the Results 2019 page. Nicole Taylor ran 80.19, battling with bad foot blisters. 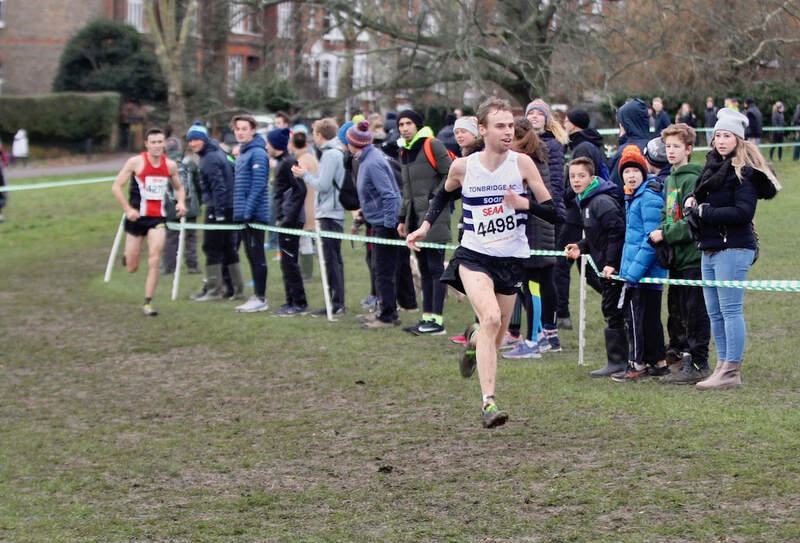 Alex Howard pulled out with tight calves and hamstrings after going through 10k in under 32 minutes. 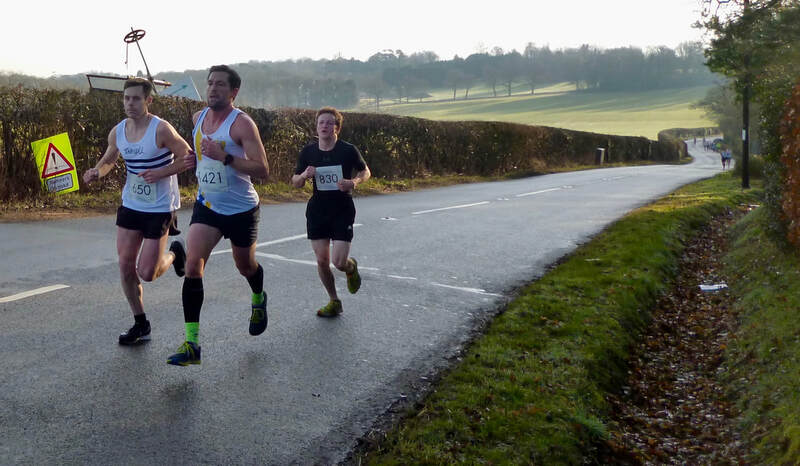 A number of TAC were running in this multi terrain race. 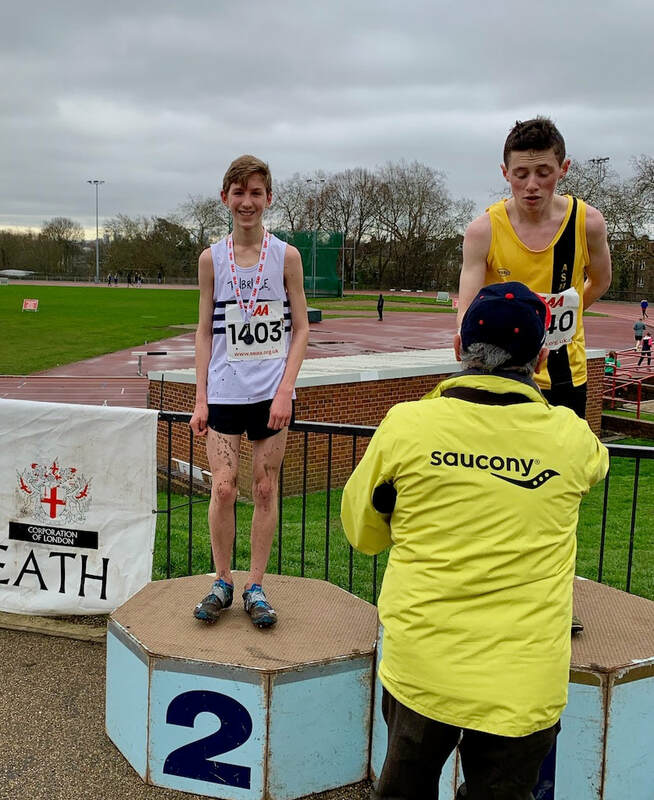 Fin Croll won the under 17 men's 1500m with a pb of 4.20.04. 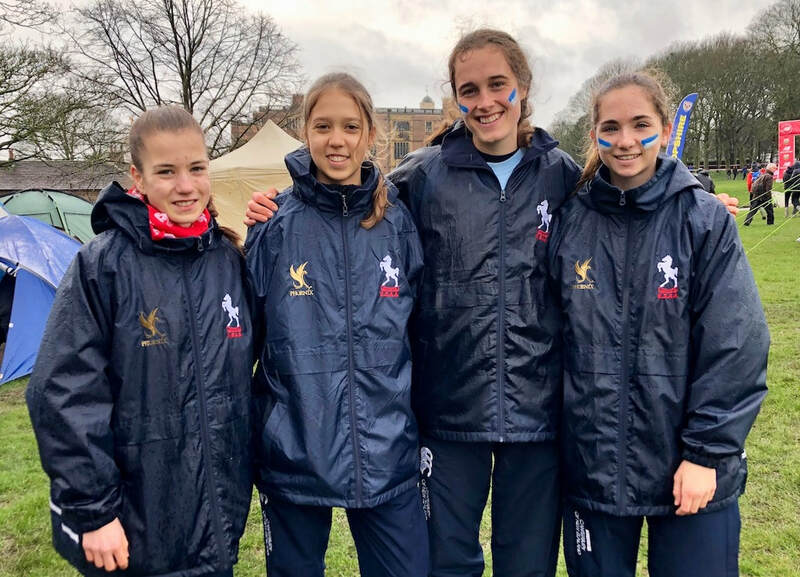 TAC had 15 runners representing Kent and 3 of these have been selected to compete in the Home International Schools match against Ireland, Wales and Scotland, in Dublin, on 23rd March. The total of 15 representatives is the lowest TAC number since 2006, with the record being 28 in 2010. Harrison Fraser of TAC was first home, with Ella McIntyre also of TAC the first girl. ​Full results are on the Results 2019 page. James West had a rough weekend at the National Collegiate Championships, racing for Oregon. 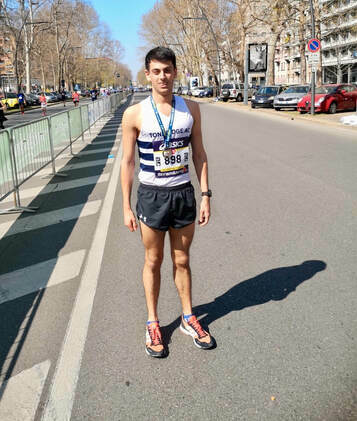 He ran a 4.04 mile split to anchor his team to 9th in the Distance Medley Relay on Friday and then finished a very disappointing 15th in the 3000m in 8.18.00, feeling out of sorts. 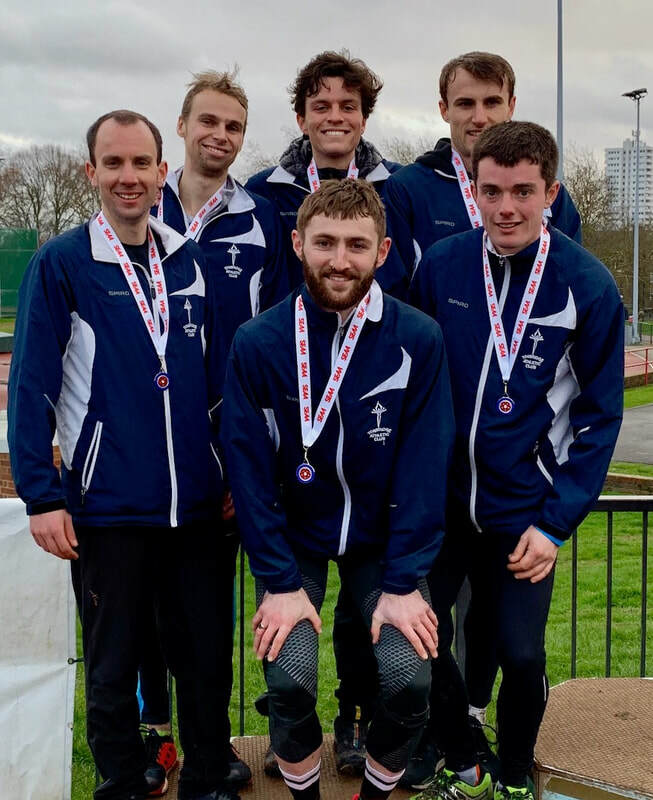 Matt Dennis finished 4th in 2.02.53 and Julian Rendall 5th in 2.02.54, in what must have been incredibly windy conditions. 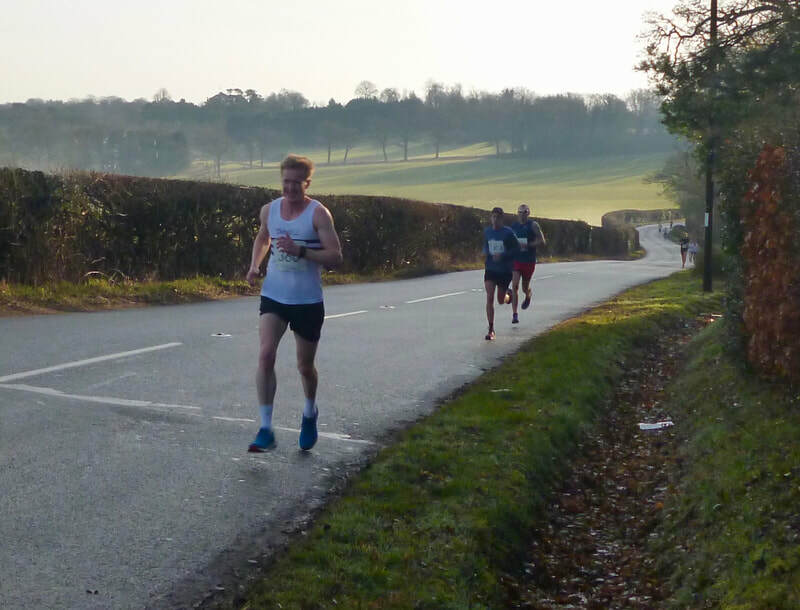 Julian was running with Matt more as a training run, whilst Matt was almost thirteen minutes quicker than his previous attempt at the distance in 2017. 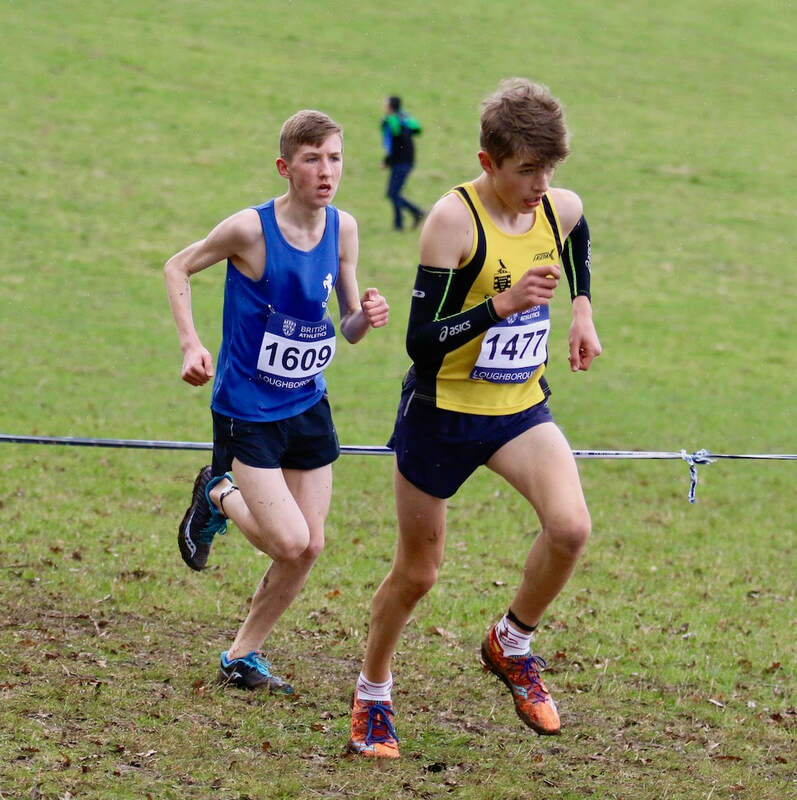 There were about 30 TAC runners competing for both Kent and Sussex at the UK Inter Counties. 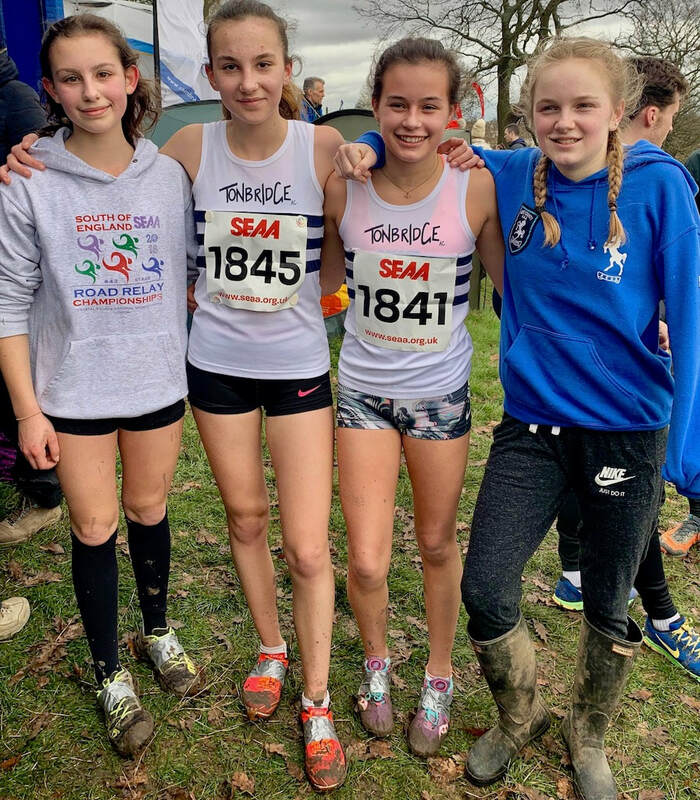 There were a few top ten Tac performances with Lily Slack (5th) and Olivia Breed (8th) in the u13s, Matthew Taylor 10th in the u15s and Katie Goodge a superb 6th in the u17s. 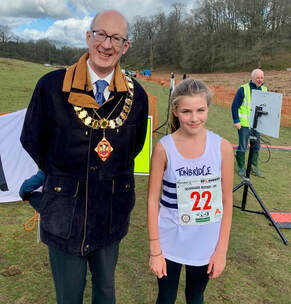 Lily Slack's 5th place was the best TAC placing in the under 13 girl's race this century. 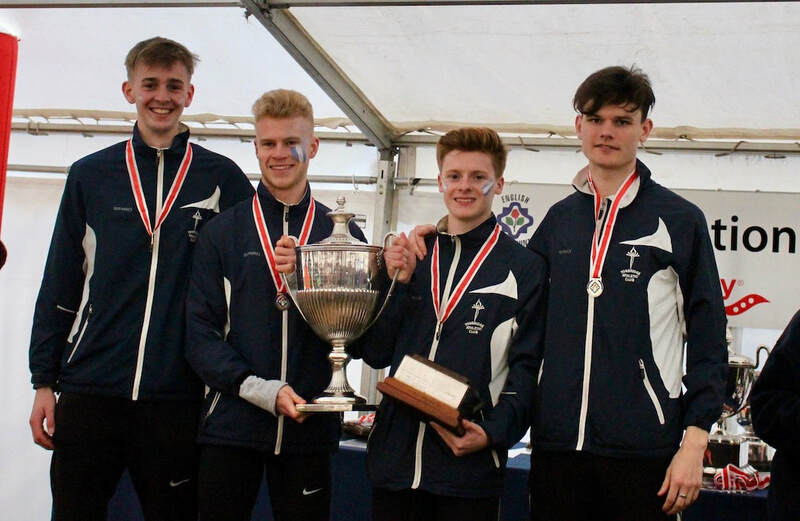 Kent managed to win the u15 boys and u17 men titles, whilst very nearly won the u13 girls' championship. 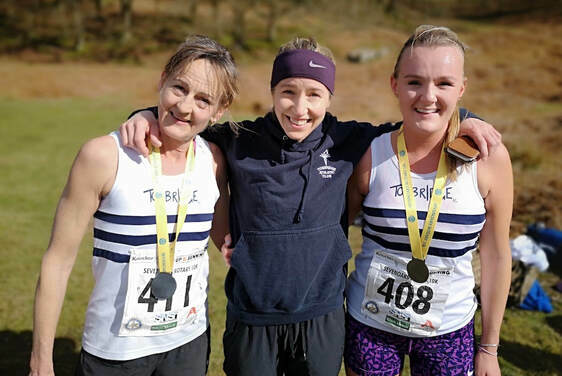 ​TAC had more senior women (6) and men (6) starting than ever before and the total number of females at 14 was a record. Full results are on the Results 2019 page, with TAC highlighted. Zac Jones was first home at Royal Tunbridge Wells and Ben Cole first at Swindon. 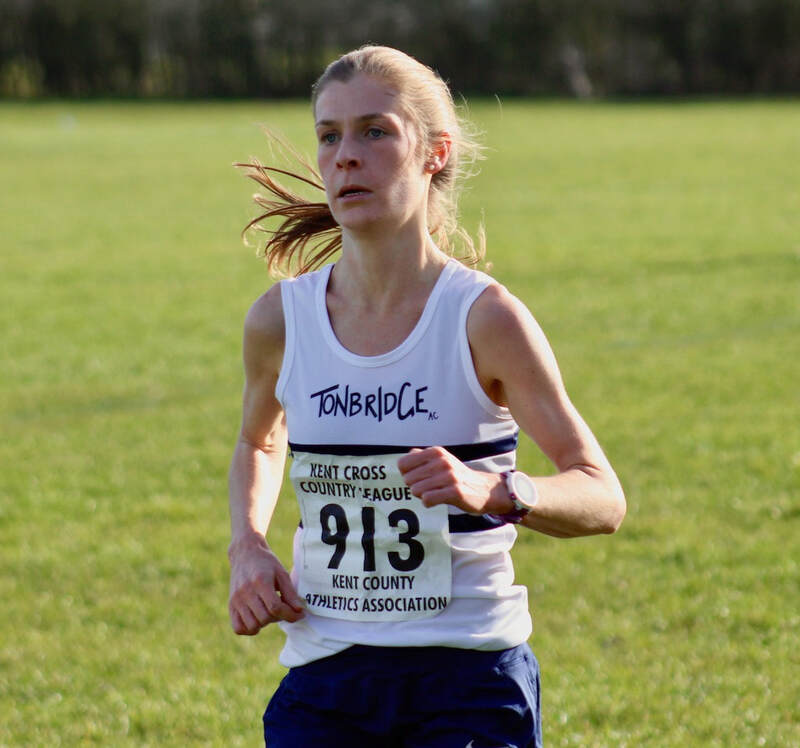 Lucy Pitcairn-Knowles was first female at Orpington and Claire Day likewise at Tonbridge. 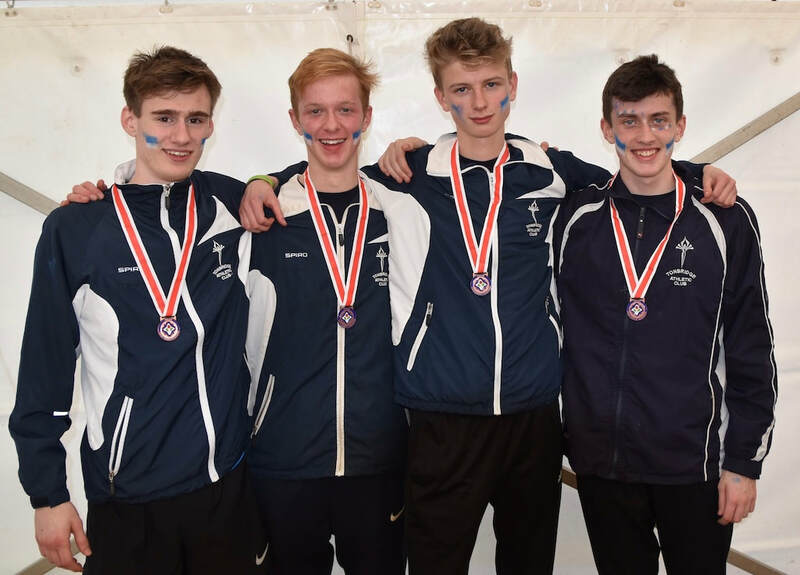 I picked up on Miles Weatherseed anchoring the Oxford team to victory in the 4x800m, with ex TAC member Toby Ralph also in the team. 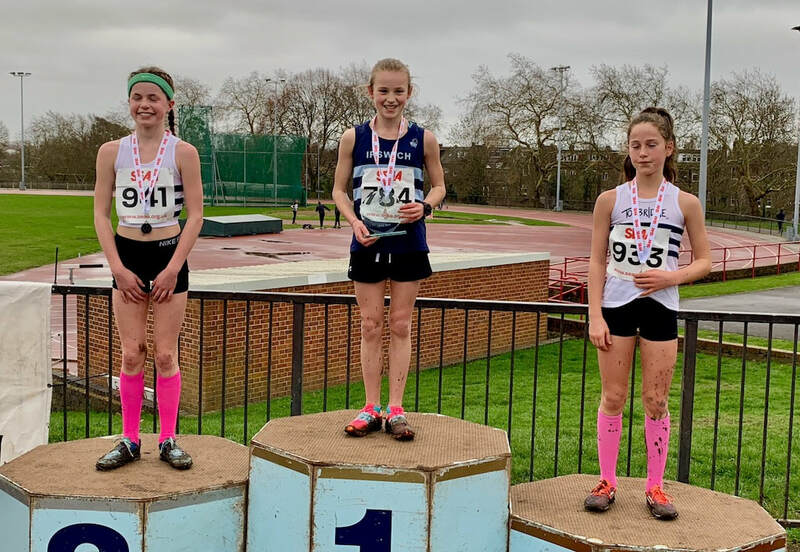 There have been numerous schools races over the past few days, including the Bracken and Woodmansee Cups at The Schools at Somerhill, South London Harriers Schools races and some at Harrow on Sunday. All these results are posted on the Results 2019 page. 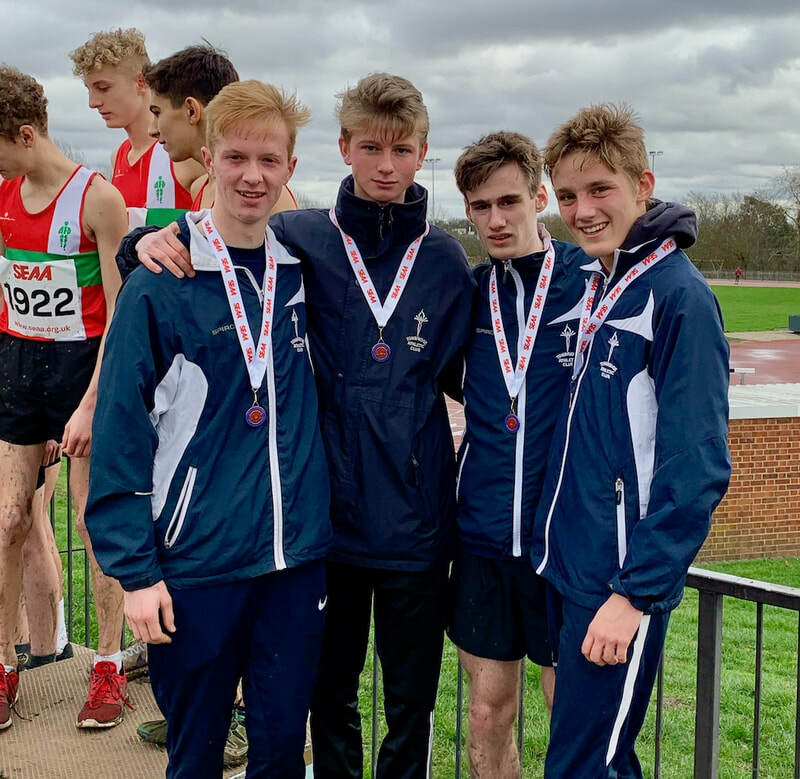 Huxley Crush, Alex Evans and Fin Croll won races at The SLH Schools races on Saturday. Lily Slack,James Petrie and Josh Prendergast were winners on Friday at The Schools at Somerhill. 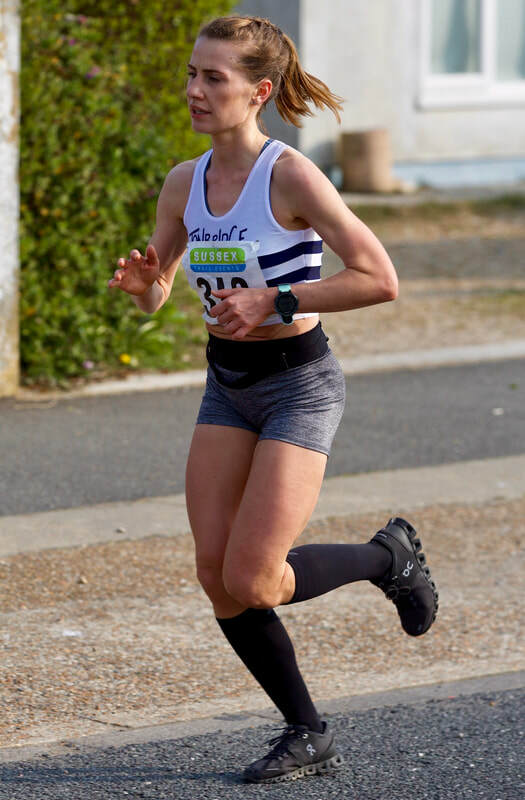 Lucy Reid won the Essex 20 mile road race, as she builds up for the London Marathon in 1.59.13, which I think will go down as a TAC women's record, as there isn't one showing and I can't recall that anyone would have ran that quick. 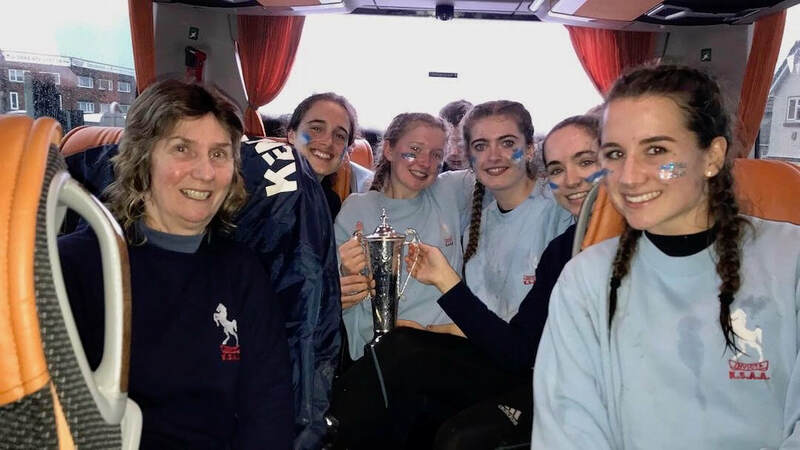 ​Results are on the Results 2019 page. 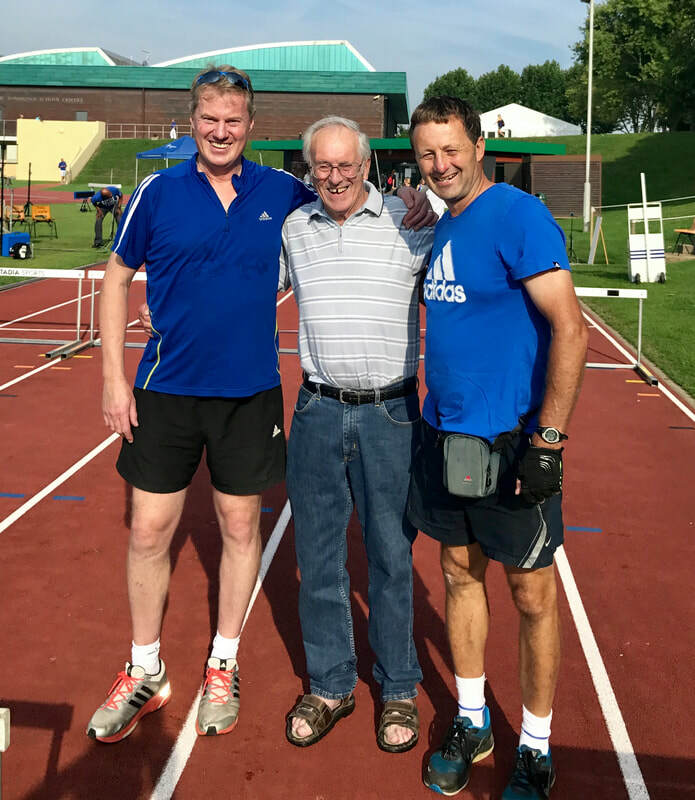 Dan Madams ran 74.55 to break Graeme Saker's TAC, over 45 men's club record, by more than two minutes. 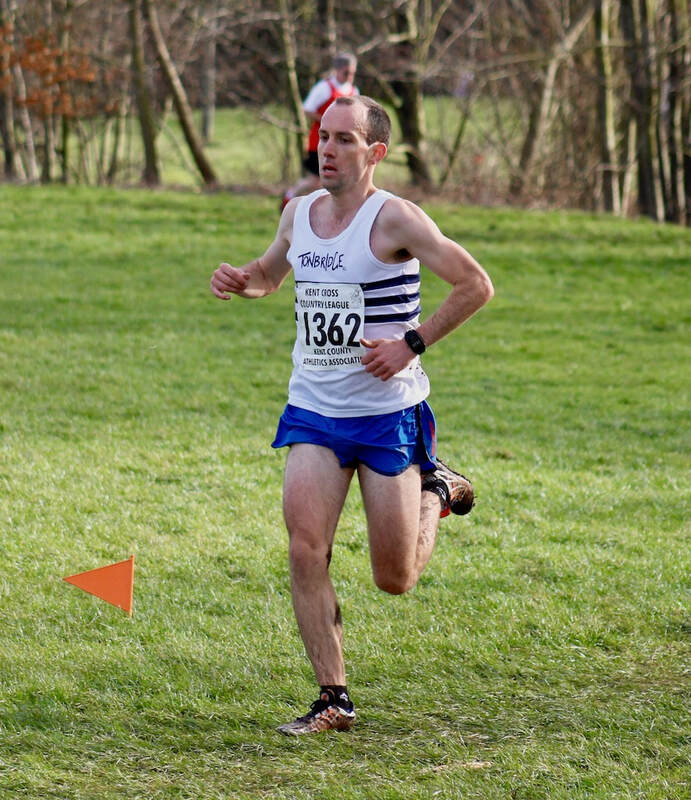 James Winnifrith (M40) was the only TAC runner and recorded 88.00. 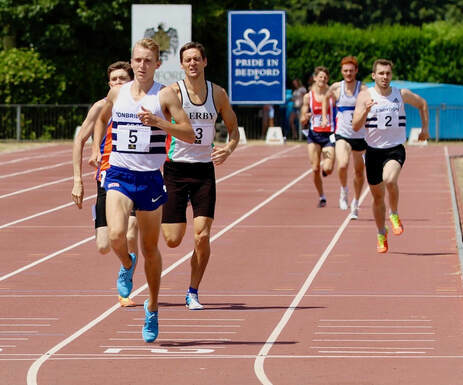 James West ran 7.51.19 to finish third in the men's 3000 metres at these championships. This shaved a fraction of a second from his TAC men's indoor record set last year and is 0.8s away from the fastest ever 3000m time from a TAC runner. This is Mark Scrutton's 7.50.38 set at Crystal Palace in 1983, outdoors. Many thanks to everyone who raced and supported the trip. So many people have said it's probably the best yet, not just for the results but the way everyone joined in the evening and helped each other. Its going to take me a while to sort out all the videos, photos and updates so please be patient as I only arrived home at 4pm on Sunday. They are also on the Results 2019 page. The other scorers were James Puxty (20th), Jamie Goodge (24th) and Bede Pitcairn-Knowles (52nd). Well done to Bede for hanging on so determinedly to secure the win. 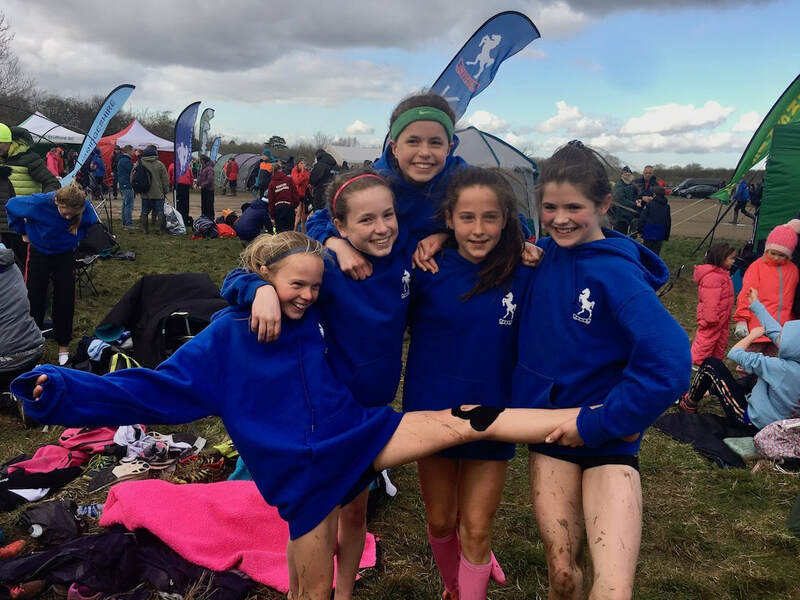 ​The other scorers were Lily Slack (10th), Sophie Slack 21st) and Gracie MacAuley (50th) as 418 finished and 41 teams completed. 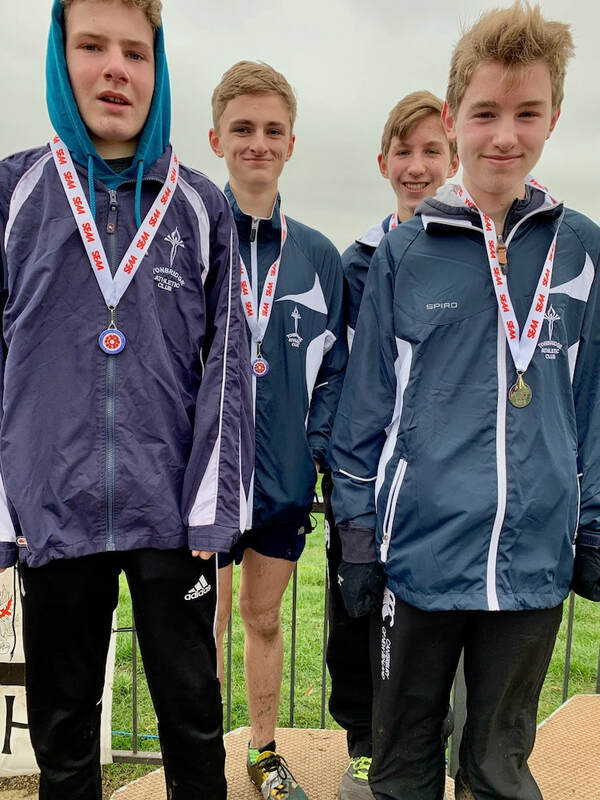 The other scorers were Henry Pearce (17th), Corey De'Ath (19th), Kieran Reilly (44th), Ryan Driscoll (47th) and Max Nicholls (51st) as 2006 finished and 144 teams closed. 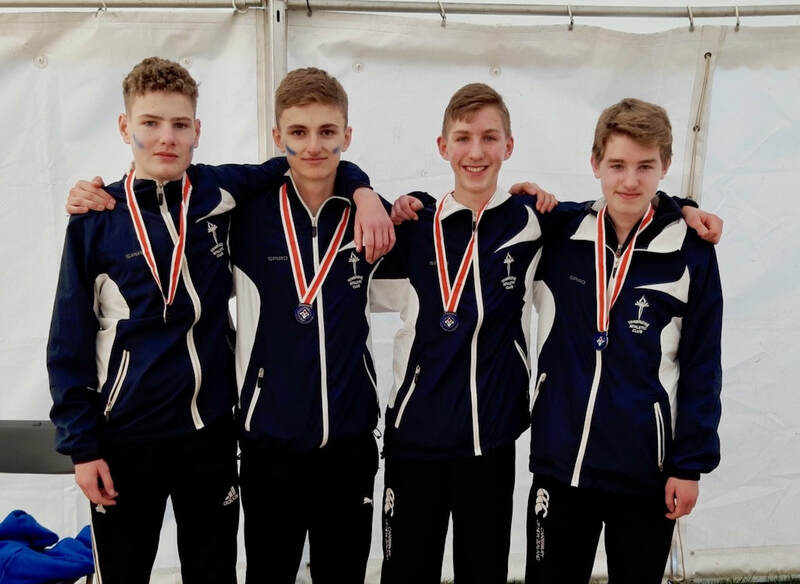 ​The other scorers were Henry Taylor (17th), Fin Croll (41st) and Matthew Dubery (80th), whilst Adam Singleterry had possibly his best ever race in 96th. 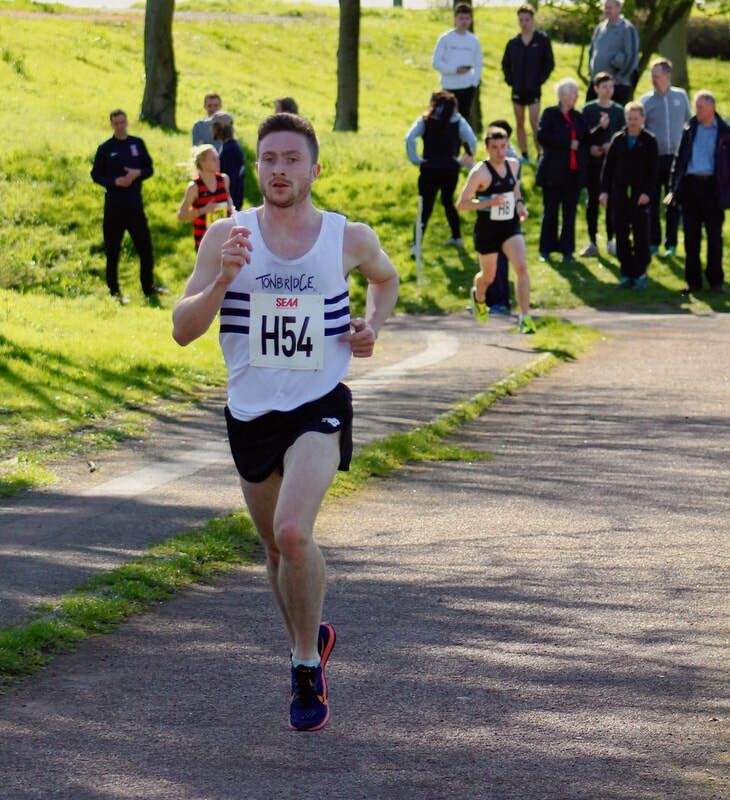 ​The other scorers were Fraser Gordon (25th), Adam Van der Plas (39th) and Toby Emm (64th). Alex Beeston had a superb run in 73rd and probably his best ever. 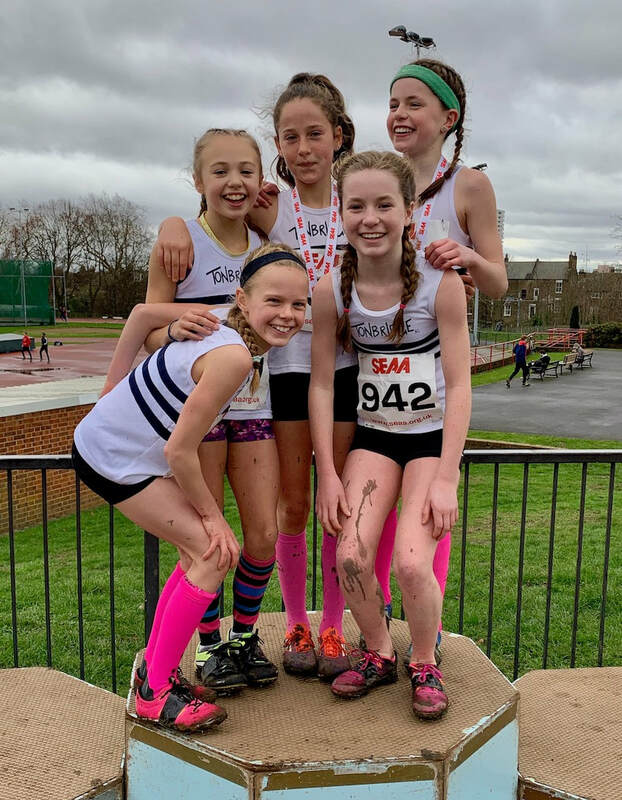 ​The other scorers were Lucy Reid (13th), Sian Robertson (69th) and Kiri Marsh (89th) as 1034 finished and 114 teams closed. 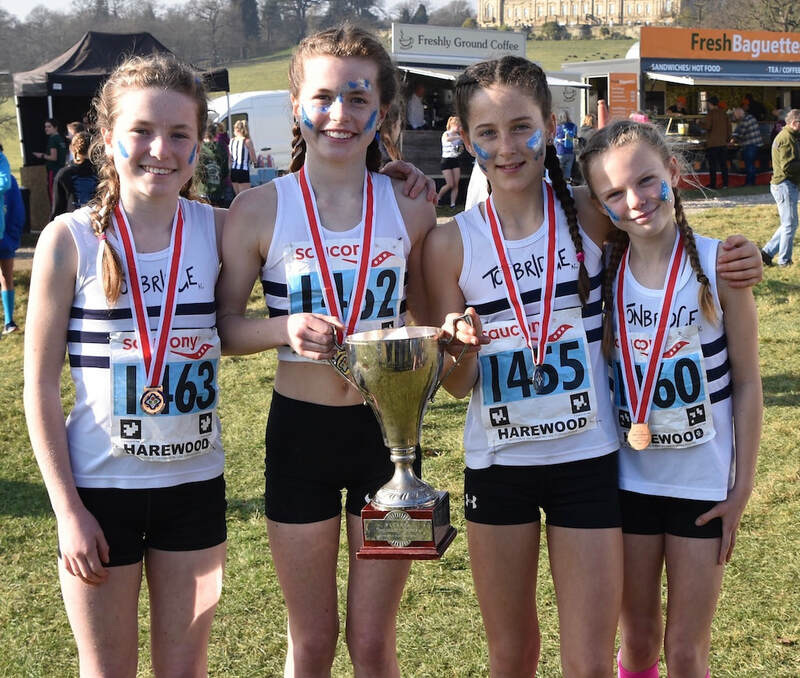 Particularly well done to Annabelle Hales, Ellie MacAuley and Aimee Holdstock as by all finishing it maintained the club's record of finishing teams in all 10 events. 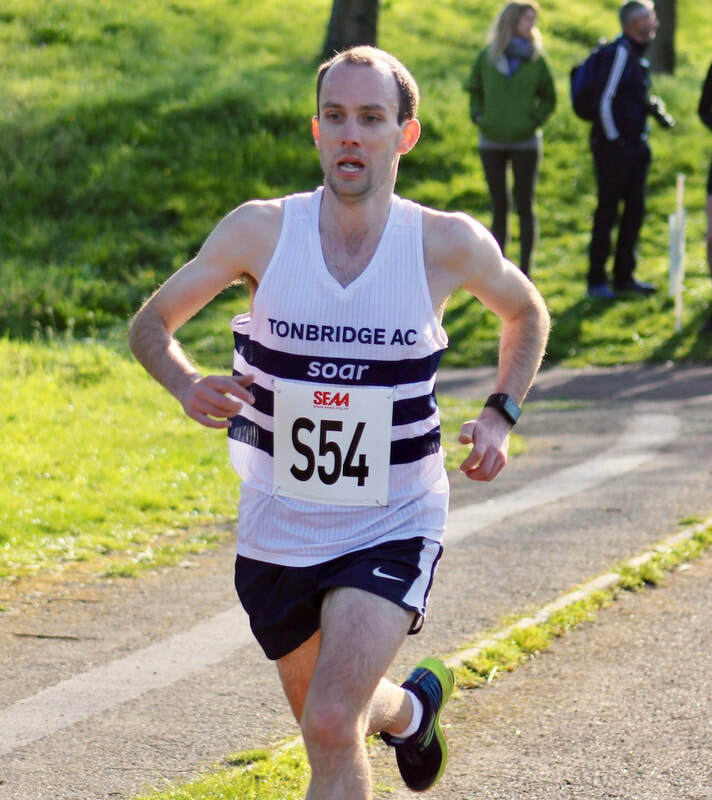 John Sanders completed his traditional analysis and noted that Tonbridge were the only club to complete teams in all 10 races. Similarly, Andy Wood has completed some analysis of the results across the board and come up with the file below. 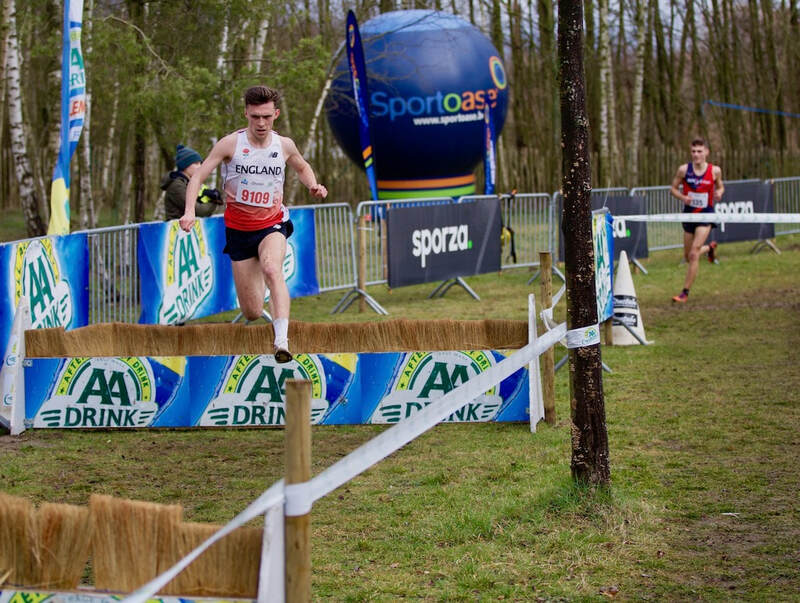 Ben Murphy ran 1.54.15 to finish second in the men's A race at Lee Valley. Dom Brown put in a terrific performance to capture the 1500m title, with Kieran Reilly finishing third. Dom won in 3.56.22 with the last 800m in about 1.56, whilst Kieran ran 3.58.53. 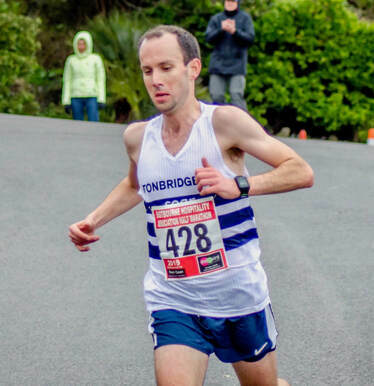 Greg Cole used this race to help marathon preparation after recent illness and a back strain. He finished 7th in 77.29. 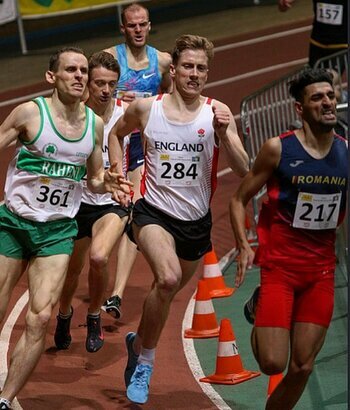 ​Sean Molloy finished 2nd in 72.49 and Jordan Saul 10th in 83.06, as both made their debuts at the distance. 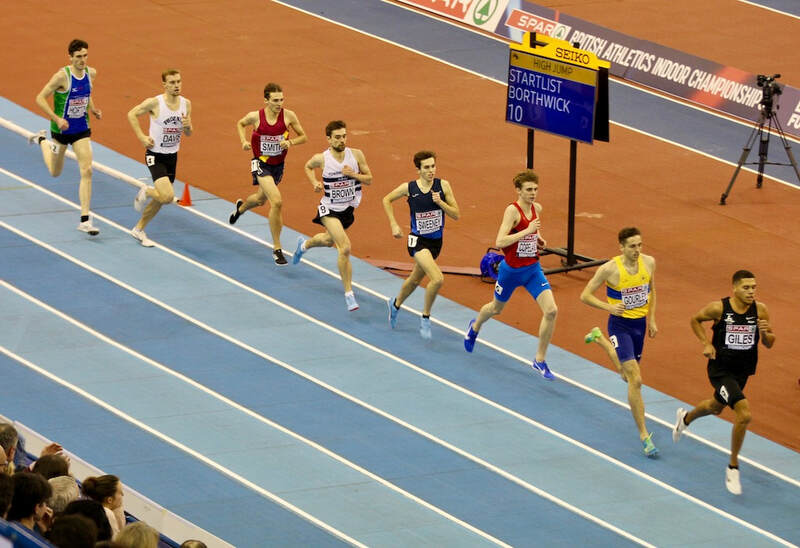 University of Washington Elite Men's Mile, Saturday 16th February - James West 3.57 ! 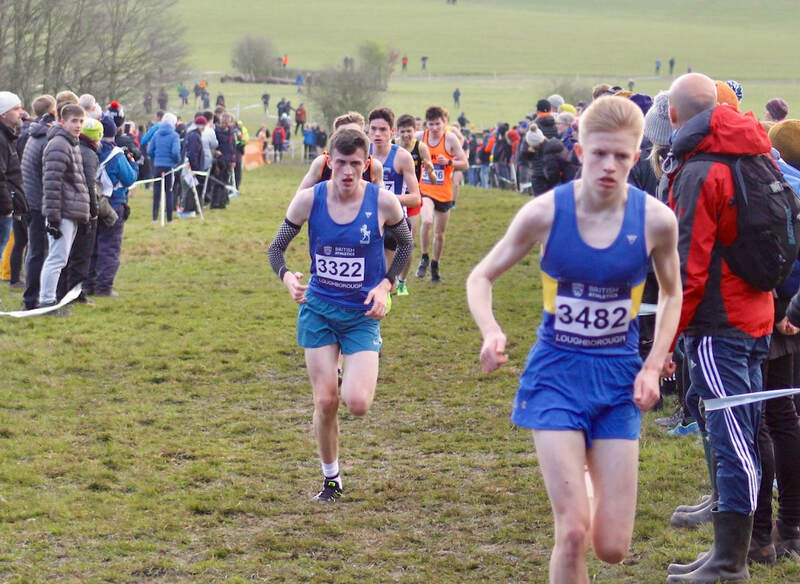 James goes second on the 2019 UK rankings and is now 19th on the UK All time list. 3000m women heats - Kiri Marsh dominated her heat and won in 10.06.76, whilst Lottie Richardson ran a pb of 11.10.38. I don't think Kiri is running the final though. James West ran around 2.53 for the opening 1200m leg of the Distance Medley Relay as his Oregon team ran 9.28.62. Tis puts them around 6th on the national rankings, with the top 12 going to the NCAA National Championships, at the start of March. Kieran Eland was eliminated from the 800m as he finished third in his heat in 1.58.62. I am trying to find a results link ! 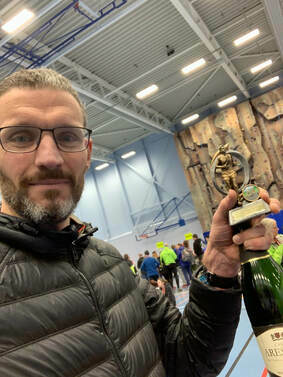 Miles Weatherseed ran 14.31 over 5km in the ultra fast Armagh 5km road race and finished 51st, as well over one hundred men broke 15 minutes. This was eight seconds quicker than Miles ran there two years ago. We have received the news that Ray Curtis passed away on Tuesday, after a short illness.. Many of today's TAC members won't know Ray but when some of us joined back in the 70s Ray had already been a key member of the club for many years. He came down to the track a couple of Summers ago and is pictured below with myself and Pete Mason. 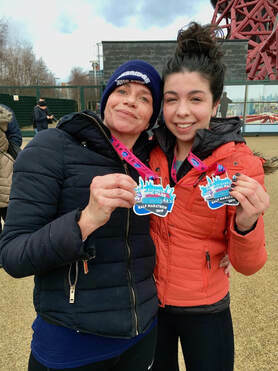 Charlotte Cohen and mum/TAC coach Helen ran this half marathon. 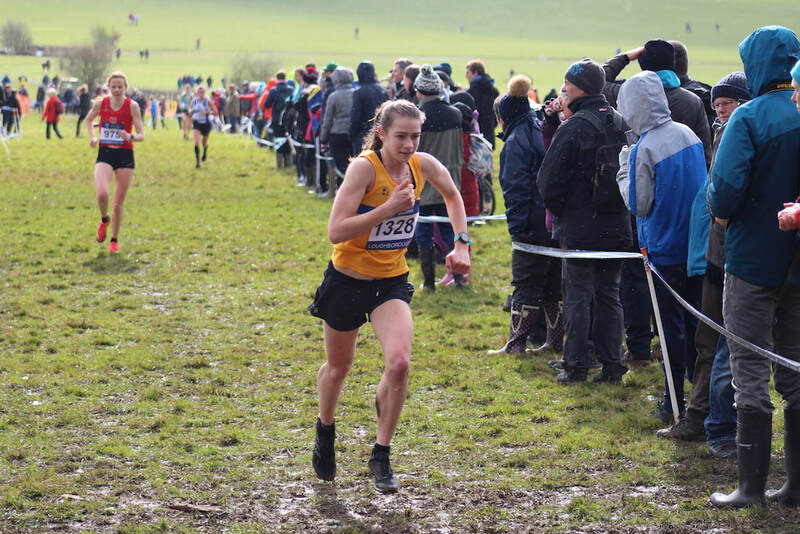 Charlotte had a chip time of 1.38.29 and Helen 1.56.46, finishing 539th and 1969th, based on the chip times. 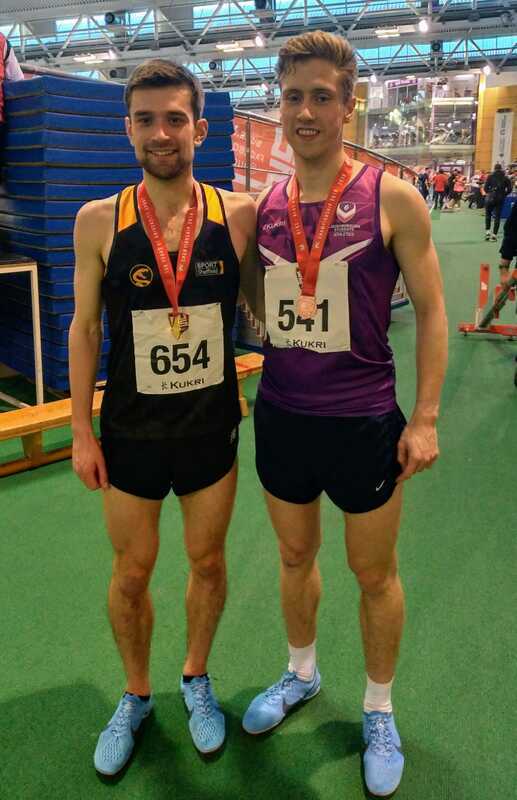 In Sunday's finals Sean Molloy finished 5th in the 800m in 1.51.25 and Dom Brown was 7th in the 1500m in 3.49.93. 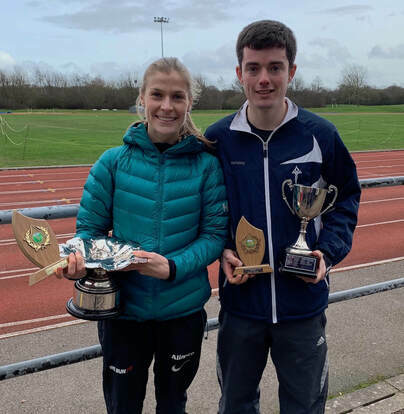 TAC won both the mens and women's team races, plus Ben Cole and Sian Robertson won the individual races. Summary results are available on the Results 2019 page. 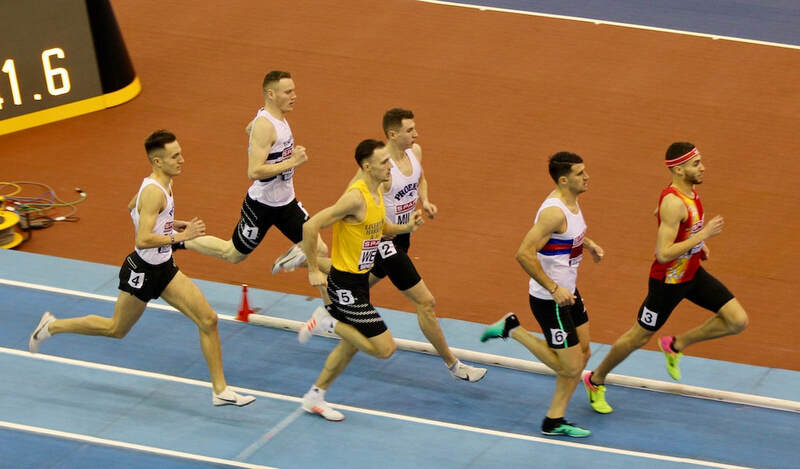 Sean Molloy (800m 1.50.16 heat) and Dom Brown (1500m 3.48.02 heat) have both qualified for the British Champs Indoor finals on Sunday. Chris Olley finished 3rd in heat 3 of 4 of the 3000m in 7.58.17. This was a season's best and a fraction outside his pb. 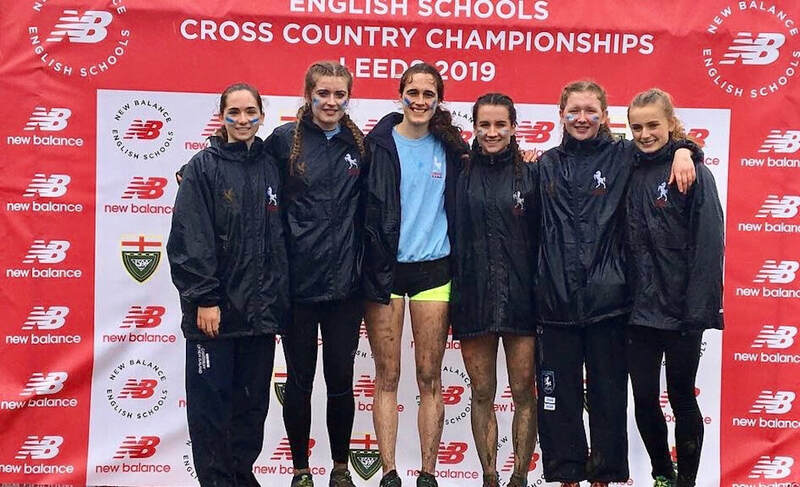 They probably went to 10th and 4th on the UK rankings which are currently topped by Andy Butchart and Chris O'Hare. 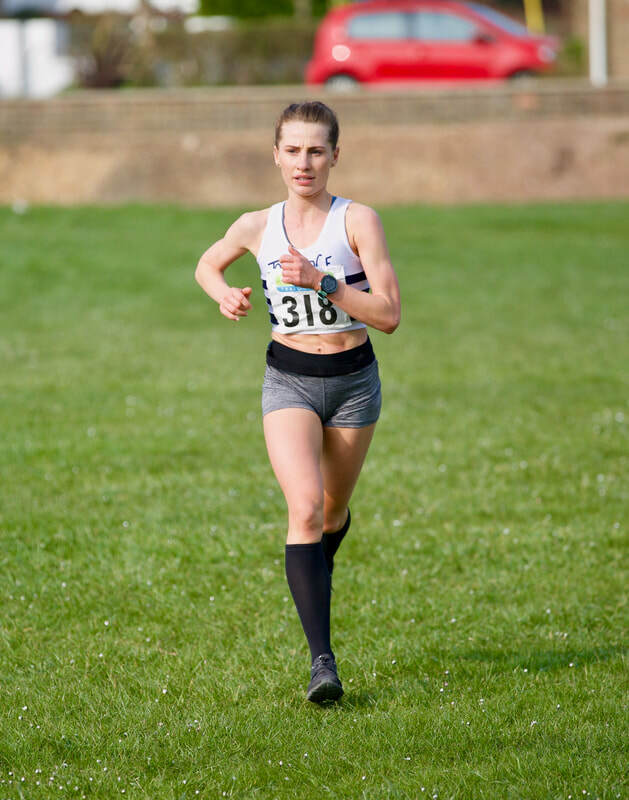 The Kent Cross Country League are gathering opinion regarding the male and female course distances for the Kent Cross Country League. 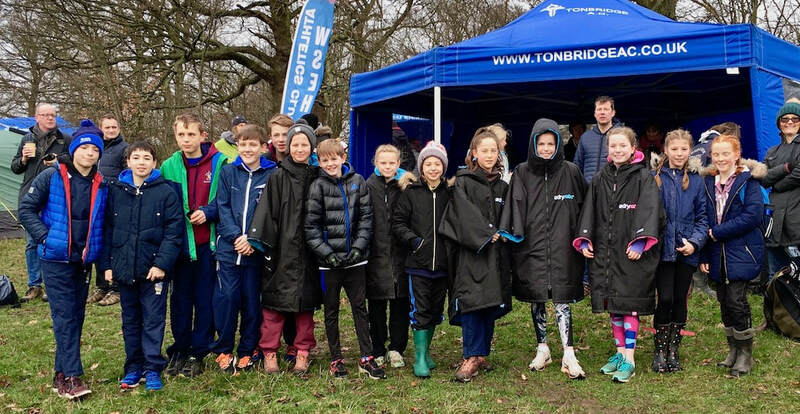 A number of TAC members were racing for Judd, Sevenoaks and Walthamstow Schools. 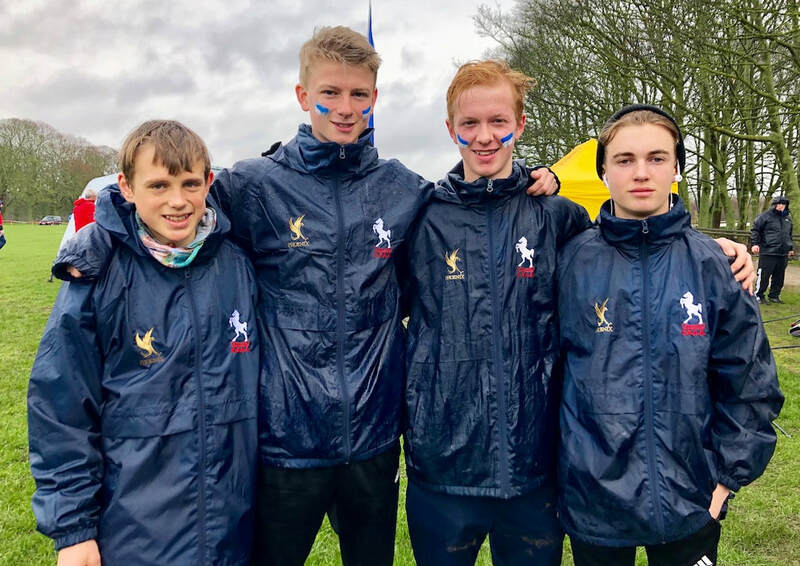 Judd were second in the boys race and in the girls race Sevenoaks were 4th and Walthamstow School 9th. ​The fastest TAC were James Kingston (8th fastest boy) and Lily Slack (7th fastest girl). 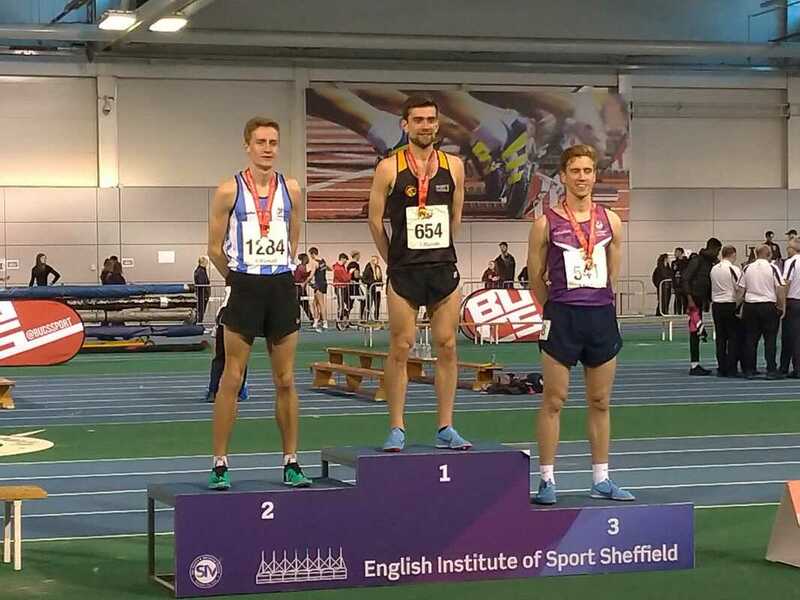 Dom Brown tuned up for this coming weekend's British Indoor Championships 1500m, by finishing third over 800m at Sheffield. 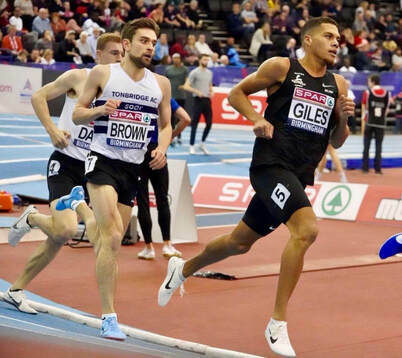 Official time was an indoor pb of 1.53.47.